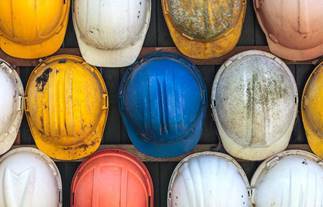 Don't miss our big upcoming event, the Hard Hat Breakfast! Habitat for Humanity South Central Minnesota (HFHSCM) is a non-profit, Christian-based housing ministry that builds its faith through building homes for families in need. It was founded in 1990 in Mankato, Minn., with the mission of building simple, decent, and affordable housing with and for local families. Since its founding, HFHSCM has built more than 120 homes and assisted over 500 individuals throughout the region. Habitat is committed to selling simple and affordable single-family homes, providing affordable mortgage options that help individuals and families buy a home. The families selected must meet eligibility requirements in their degree of need, ability to pay, and willingness to partner. Get the latest on home construction, fundraising, ReStore deals, upcoming events and more. Habitat for Humanity International and its affiliated organizations will not proselytize. Nor will HFH work with entites or individuals who insist on proselytizing as part of their work with HFH. This means HFH will not offer assistance on the expressed or implied condition that people must adhere to or convert to a particular faith or listen and respond to messaging designed to induce conversion to a particular faith.